Touch the scene around us ! 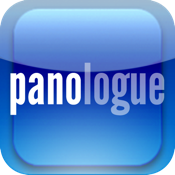 Panologue is the brand-new panoramic graphic magazine to read and listen on iPad. It features Japanese sceneries of daily lives, memorial moments, or precious and outstanding sceneries in panoramic photos. Touch iPad and come into dialogue with Japanese panoramic views! Focus on the current news and topics from the unique and wide view of panoramic photographs.